Our country’s cuisine, which has more than 2 thousand kinds of food, is filled with beautiful meat meals. We start our journey in İstanbul where the most special meat meals are expressed with chefs. A history of beautiful aromas melds in this city with unique flavors. When one comes to İstanbul, a beautiful spot to escape to, it is impossible to miss the rich culture of food. There are many sightseeing spots in the historical Sultanahmet Square. When we visit, we can virtually inhale history. 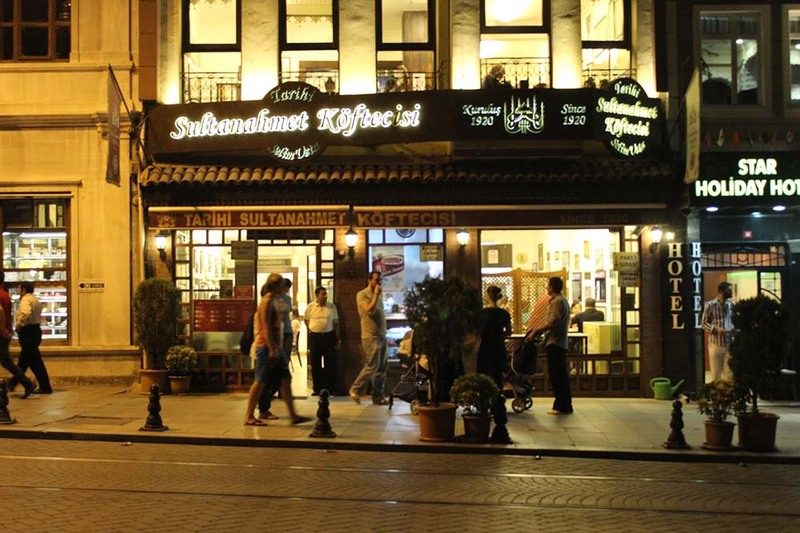 Our feet take us to Sultanahmet Meatball, the most famous meatball restaurant in İstanbul. The staff works here in a contemporary venue, greeting guests promptly, eager to accommodate their quests. Meatballs with unique flavors are served along with various spices, plus piyaz (red kidney beans salad) and pickles are put on the tables. After Istanbul, we head the thyme-fragrant road to taste meat flavors in Kırklareli. Kırklareli is famous for its great meat meals, like many others in the region. We alter our route next to enjoy the chefs of one special recipe. The meatballs made in Kırklareli present a different taste from other meatballs. It may surprise visitors to hear that these are prepared without any additives and from the most beautiful place of the calf. The animals butchered for the product live in high altitudes in the mountains, among grasses and thyme with high nutritional value. Therefore, they produce a more delicious meat. In fact, the special flavor of these meatballs is thanks to the fact that the animals are naturally fed. According to the chef’s recipes, the ground meat is mixed with just its own oil, with no tail fat or anything else inside; then, it is aged. After that, the meat is cooked with spices. Really, this recipe is simple and effortless, which in turn produces meatballs that are unprecedented and entirely natural. Edirne, which offers varieties of both nature and culture, is the next stop. The gate of Anatolia to Europe, Edirne was the favorite city of the Ottoman Empire. Edirne opens its doors to guests with a different energy. It is famous for liver. “Satır et” is another delicious meat meal of Edirne. Visitors can not get enough of this! It is prepared only with lamb meat. Are you curious about what the secret is to the flavor of “satır et”? We have listened to the experts: there is only salt and meat from the front arm of the lamb. In the past, there was no mincer, and because of this “satır” operation (a manual chopper or chopping process) came to be. This method maintains the secret flavor, and is still used in some of our cities. Although people think this method takes extra effort, it is easy to understand that one can not achieve this unique flavor with a mincer. A thin ground meat is obtained via the process, taking between five and ten minutes. Then the meat is laid on oily paper and sits for one day. Then, the meat, which is prepared with just salt, is made into rectangular shapes then placed between grilled wire. It is cooked on a firebrand that is blended with oak wood. It is important to preserve the animal’s own unique flavor, so the process involves no other add-ins. After eating Edirne’s “satır et” and experiencing its beautiful history, it is time for the green paradise of Bursa. It is a peaceful journey towards Bursa, where we will see how each city has a different kind of kebab. In Bursa, İskender kebab comes to mind first. Its fame comes from the serving style: it comes with tomato sauce, butter, and yoghurt. 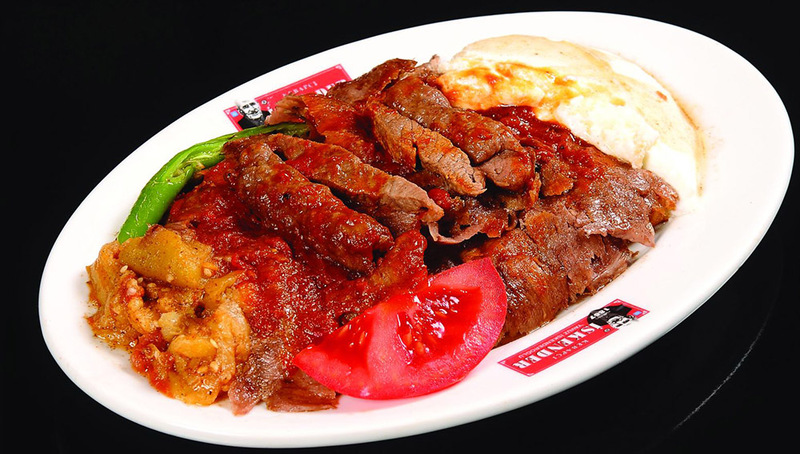 Another difference of the İskender Kebab is that the meat is thyme-fragrant. It has been carefully separated from the bone and the nerves, then the meat is blended with delicious spices. If Turkey’s meat meals have entered a race toward winning the most exquisite taste, then no doubt one contender is İskender kebab. Now we head to Konya, a place generally remembered because of the association with Mevlânâ and Nasreddin Hoca’s stories. But Konya is also famous for “etli ekmek” (quick-bread with ground meat layered on top). Etli ekmek can be prepared as bıçak arası, normal, or kuşbaşılı (meat cubes). Each version tastes different and all are delicious. We have learnt classic recipe from chefs: the meat taken from animal is formed into thin patties and wonderful recipe comes out. The ground meat, which is mixed with onion, parsley, pepper, and tomato, is blended well. Of course, all of these add-ins should be finely grounded as well. Etli ekmek’s mortar, which is integrated with spices and salt, is laid in dough and the dough is extended about ninety centimeters long. People eat this with lemon and salad. Leaving behind the historical charm of Konya, we are on our way to Afyon. Afyon, one of the most special cities of Anatolia, has many places to visit and many flavors to explore. “Kuyu kebabı” (meat cooked in an underground pit oven) and sudjuk are the most well-known meat meals offered here. We worked with a chef for nearly five hours to learn how to make a kuyu kebabı. 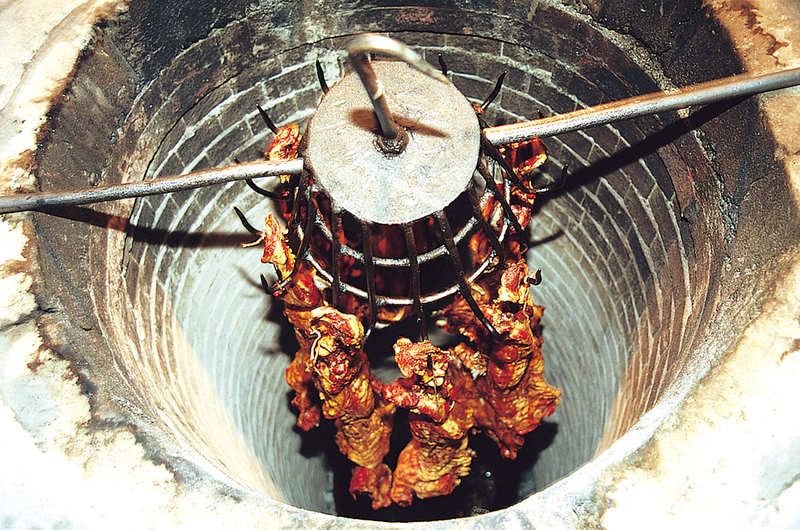 First, the kebab is placed in a well of a cauldron. The water in that cauldron is boiled, so that the steam results in a softer meat. Just before hooking into the well, the lamb meat is salted to prevent sweating. After the lambs are released into the well, the pot is covered with temporary plaster. After the preparation, the lamb is cooked for about three hours then removed from the well. A magnificent smell comes from the pot as the lid opens. The lamb is then decorated with salad and rice, then served. Kuyu kebab is made in most provinces of our country, but not everyone manages to give such a divine flavor to the kebab. 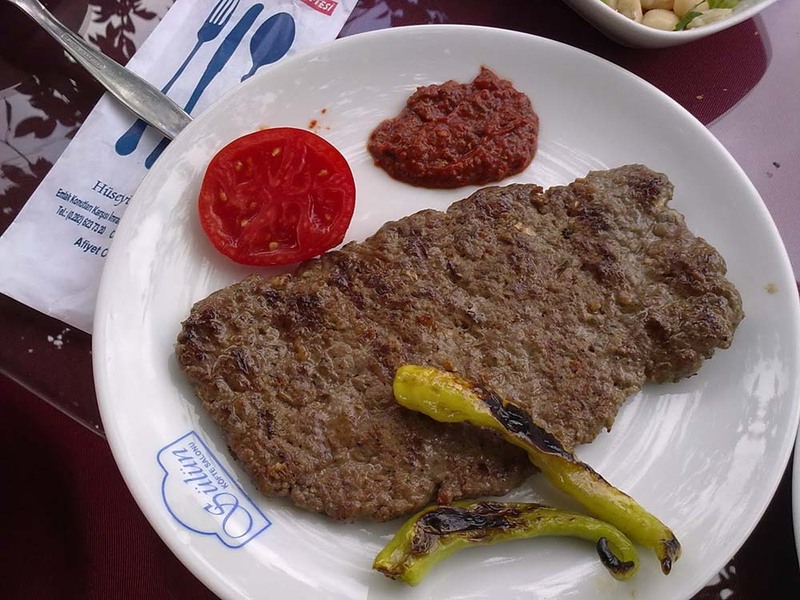 The unique kuyu kebab, which must be tasted as well as seen, must definitely be tried here in Afyon. Niğde, a city hidden in the heart of Central Anatolia, is calling us. Niğde draws attention with its ruins from the Ottoman period. Now, it is time to eat Niğde’s “söğürme kebab.” Söğürme means that it is too salty and the tail is oily. Even though it is salty, söğürme cooked from only male lamb and is very beneficial for human health. These meals, made with the same ingredients but turned into different tastes, are truly spectacular. 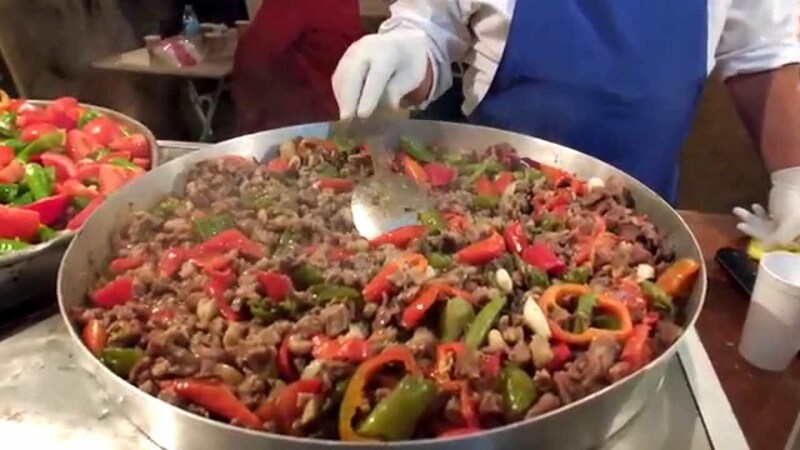 Söğürme Kebab, known as the national meal of Niğde, is eaten only in Niğde. Lamb ribs and filets are prepared in thin slices. Then the chef scores it with a knife. This preparation is called meat processing. Tomato, pepper, and garlic are also included in söğürme. First, tail fat, rounded chopped tomatoes, and peppers are put on the tray. Then, the lambs are added. Even the preparation time is appetizing! After all the lamb is put on the tray, tail fat is added again. The lamb, which is baked in the oven for half an hour, slowly releases the fragrance. The meat, which is integrated with tail fat, is served roasted. Even that person who claims he or she never eats lamb will have a change of heart after seeing a söğürme. We want to get some sea air while we travel around Anatolia and so we turn our route to Adana. This beautiful city, which offers flavors that cut across every corner and rely on the abundance of the earth, shows itself off again with a variety of meat meals. In Adana, the first thing that comes to mind is, of course, Adana Kebab. Turkey and even the world’s most exclusive and the most delicious meal, Adana Kebab, deserves a big pat on the back. 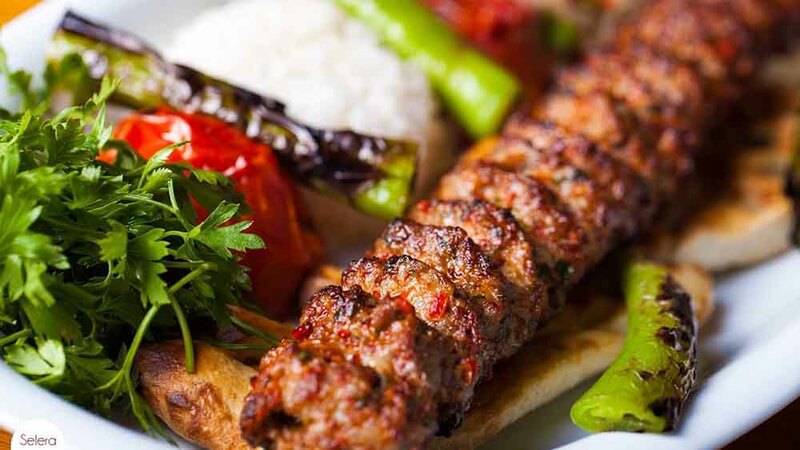 Although Adana Kebab is being made in many cities of our country, you should eat it in Adana. Adana kebab is not really easy. We learnt that lamb is not the desired meat, so we asked our chef what kind of animal should be used instead. We learned that they use the meat of a one or two-year-old animal, called a toklu (a yearling lamb). Just as to find gold in a mine, you need to find flavor when you make a kebab. Apart from Adana Kebab’s oil and meat, there are also spices and fine-cut red pepper added. This well-kneaded mixture finally meets the skewer. The prepared kebab is integrated with the skewer by paying attention to the basis weight of the kebab. Adana kebabs, as brown as a berry, are mixed with oil and rolled into lavaş. The kebab has a tantalizing taste that is brought to the table with a marvelous salad. Adana Kebap is the last spot of our journey, and we eat it together with roasted tomatoes, roasted peppers, and mushrooms.